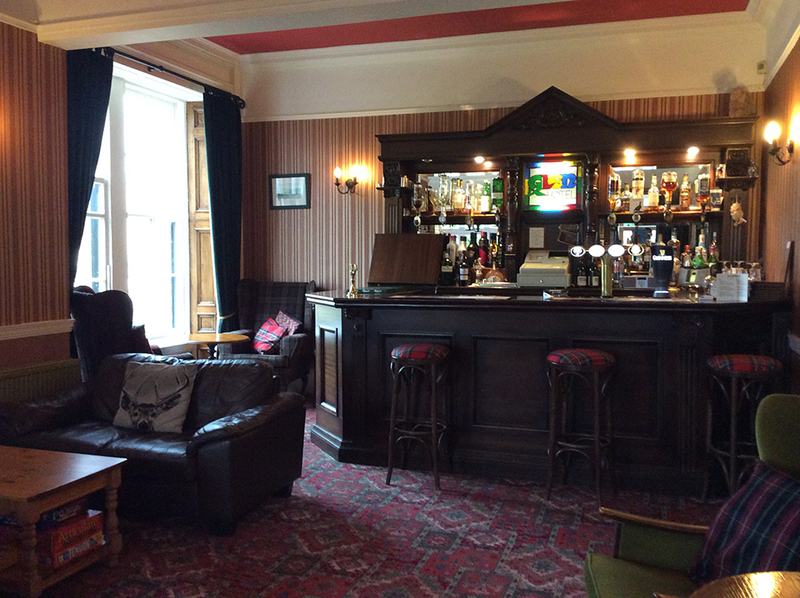 A family run establishment situated on the River Ettrick in Selkirk, The Glen Hotel provides a pleasant and welcoming ambience, making guests feel right at home. 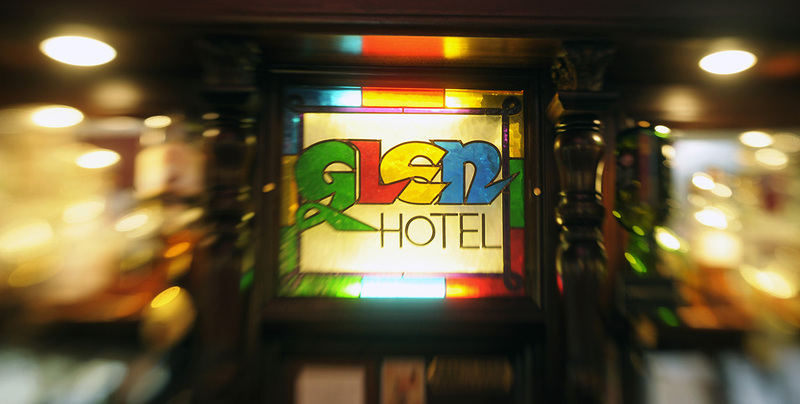 The Glen Hotel is a picturesque hotel of Victorian roots, within the Scottish Borders. 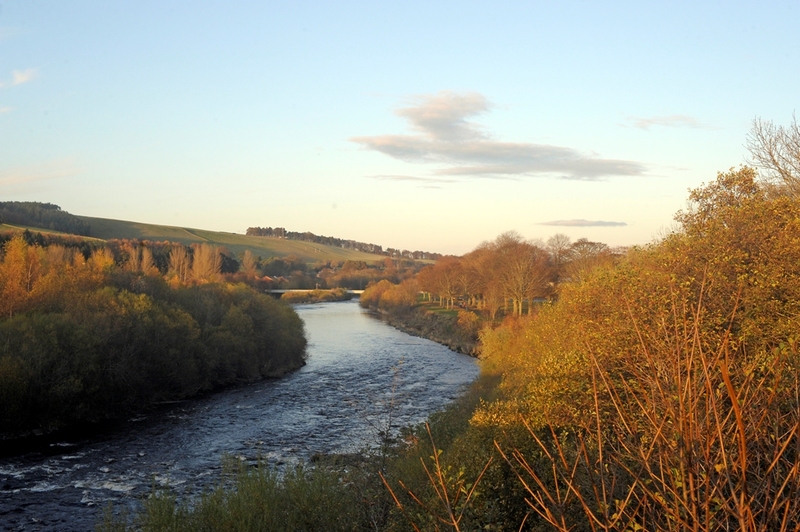 Selkirk is an ideal location for golfing, fishing or simple leisurely breaks. It is a world away from the hustle and bustle of the city centre, yet only an hour from Edinburgh. 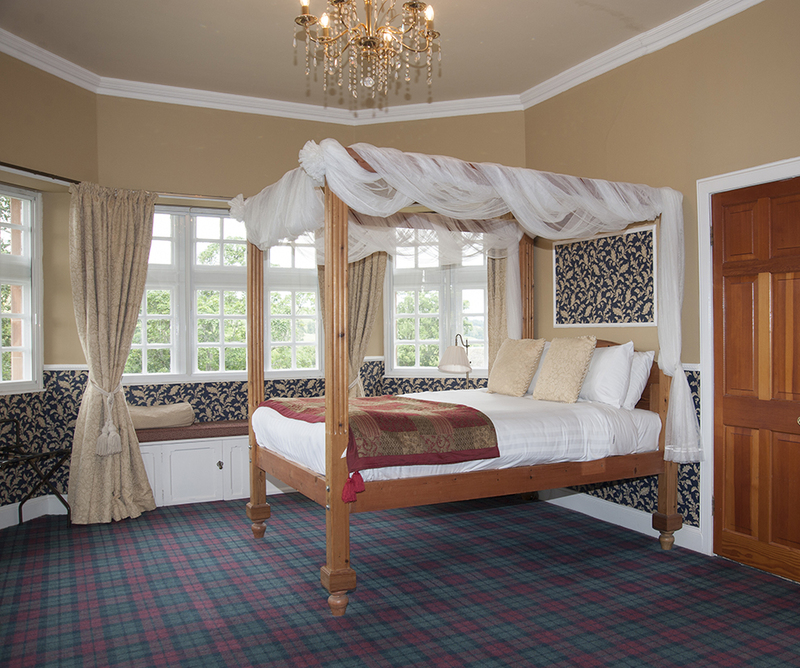 Accommodation: The hotel has nine guest bedrooms available, all of which are en-suite. Eight rooms are located on the first floor with one at ground level with a roll in shower and assistance rails. Fibre Optic Wifi is available in all rooms. Monday to Thursday – A meal will be available daily at 6:30pm. Evening meal will consist of a main “Dish of the Day” plus two standard options. Friday to Sunday – We will not be serving evening meals on these days. The Glen is more than just a family run hotel, built in 1856 our hotel used to be a vicarage to the church at the bottom of our gardens. Just a stones throw away from River Ettrick, it is ideal for those who are looking for a relaxed break surrounding themselves in beautiful scenery. Fishing and golf is very popular. As is walking The Borders Abbey Way that comes through Selkirk. From October 1st 2018, Evening Meals are served Monday to Thursday at 6:30pm. There will be a main "Dish of the Day" as well as two standard alternative options. 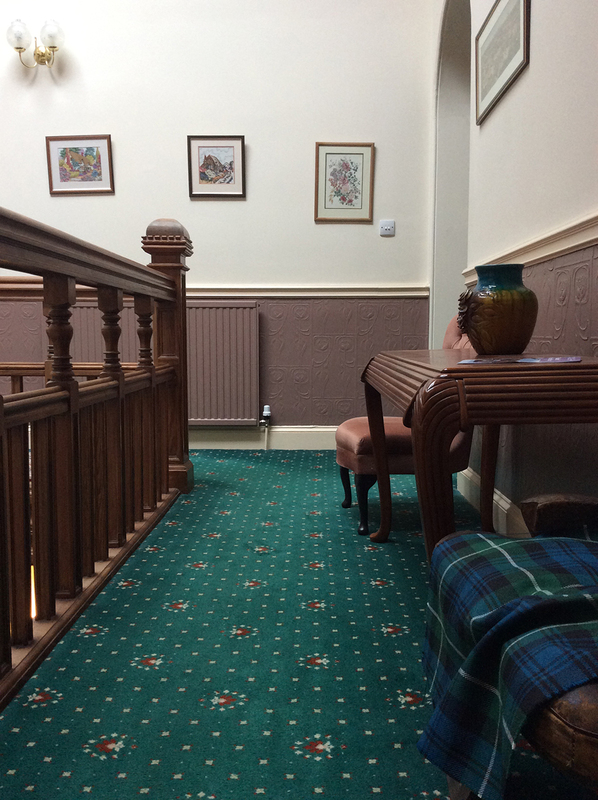 We have extended our relaxed comfortable seating area for guests to relax with a drink from the bar or help yourself to a complimentary tea or coffee. 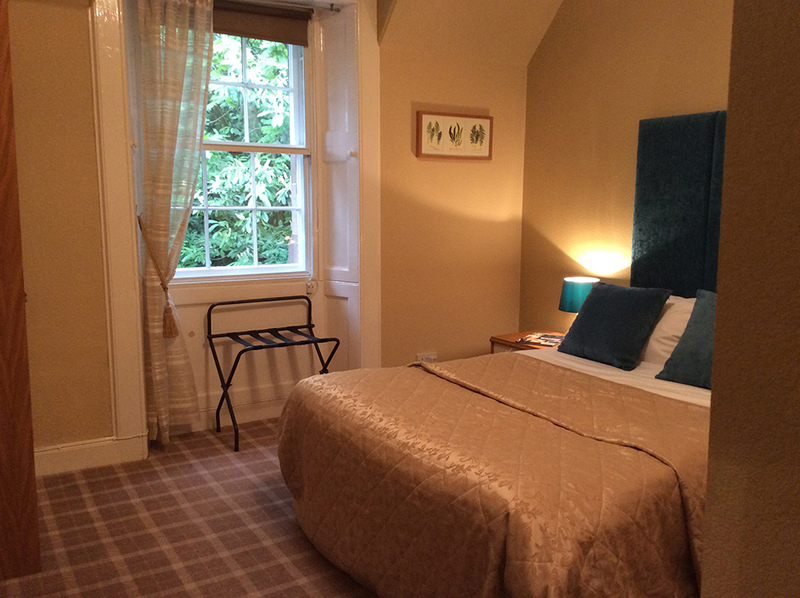 Our beautiful ground floor guest room overlooking the garden is available as either a twin or double with a super king sized bed. This room is wheelchair accessible. The en suite is suitably arranged with a roll in shower and plenty of assist rails for guests needing a little help with mobility. Please note that this room is not dog friendly. 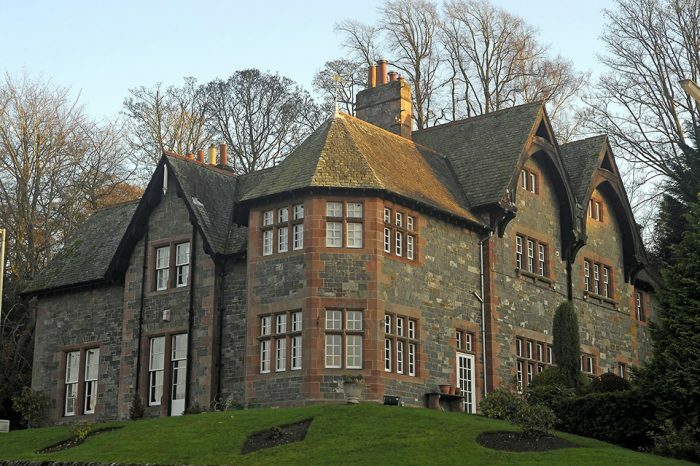 The Glen Hotel has a number of rooms that are dog friendly, with so many walks available from our doorstep. You are guaranteed to tire out even the most energetic of pets. 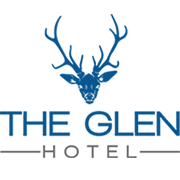 We also appreciate that some guests may suffer with allergies and to that end there are certain rooms where pets are not allowed. Therefore if you are booking, and plan to bring Fido along with you, please confirm so when booking as pet friendly rooms are limited and subject to availability. Maximum 2 dogs. 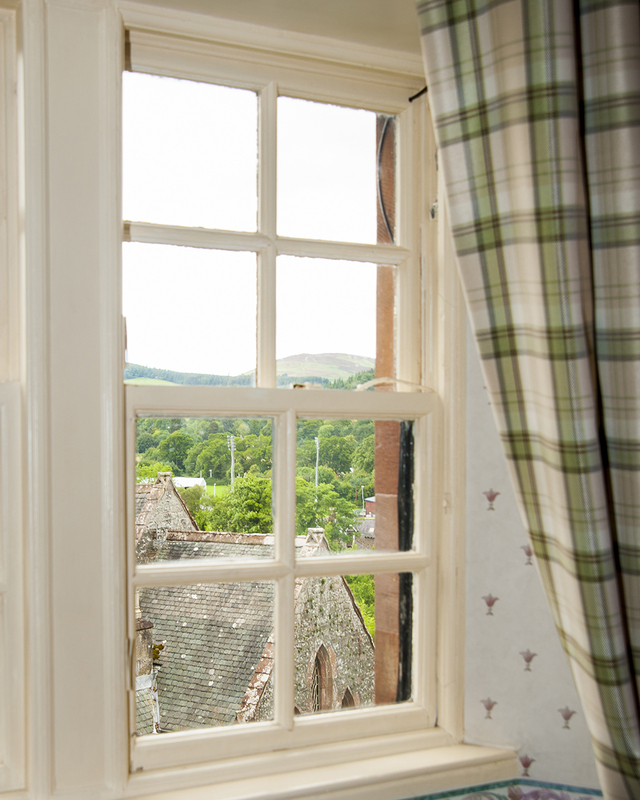 Our large four poster room has fantastic views over looking the River Ettrick. With a small sitting area and large open plan room it gives a feeling of sophistication when getting ready with your bridal party on the morning of your wedding. Once you have left to enjoy your day we will turn it into a luxurious room for you to return to with your new husband or wife. We have dedicated family rooms, but if you require an additional fold out bed please let us know so we can accommodate your whole family comfortably. There is a small car park located at the font of the hotel, all spaces are based on first come first serve. 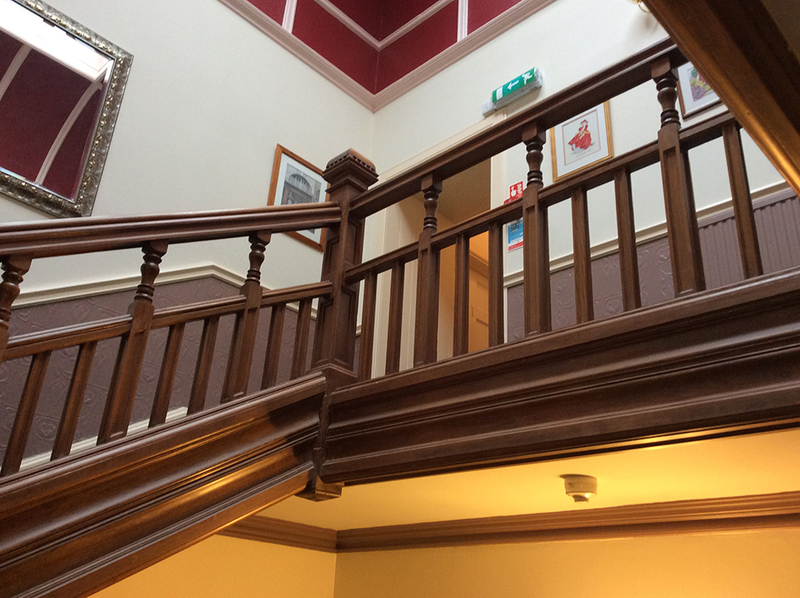 In an attempt to ensure all of our guests can connect with the outside world we have installed dedicated Access Points directly linked to our Fibre Optic router in every guest room as well as our public areas. We operate a strictly no smoking policy throughout our hotel. We have an allocated space outside for customers who would like to smoke.